Technology meets on-trend designs courtesy of House Tipster and Zuo's partnership at Las Vegas Market. 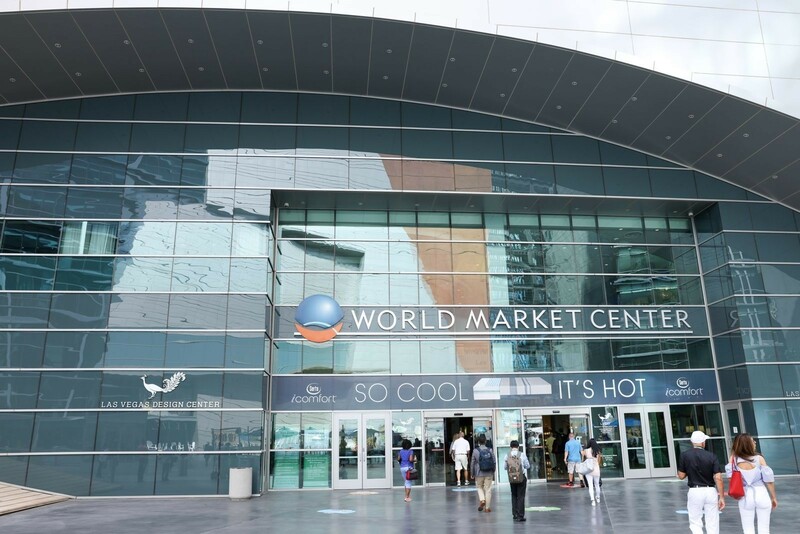 Twice a year, designers, architects, brand representatives, and the media descend on the World Market Center in the heart of Las Vegas for Las Vegas Market. "Market," as industry insiders call it, brings the brightest minds to discuss latest trends in product designs and technology together. This design expo, the largest of its kind on the west coast, is a place to see and be seen, and a perfect location to form partnerships and fuel collaborative efforts. During the Summer 2018 Market, which recently wrapped up at the end of July, House Tipster had the opportunity to partner with Zuo, a modern furniture design and manufacturing company. Zuo brings happy, contemporary designs to Market and homes across the world. Their aesthetic is simple and elegant, with a touch of effervescence that is absolutely delightful. We first connected with Zuo's Director of Decor, Andrea Guardiola at High Point Market, and we were blown away by the carefully curated furniture and decor she showcased at her booth. Then, after learning about the ways Zuo is working to incorporate technology into their marketing and sales strategy, we realized they were an ideal partner to help bring virtual technologies to the forefront of the interior and product design world. Through the help of Barrie Livingstone, a renowned designer and client of Zuo, we were able to officially get the partnership up and rolling in time for Summer Market. Here are a couple of ways House Tipster and Zuo connected to bring attention to the new technologies shaping the world of design. House Tipster was invited to participate on an exciting panel at Las Vegas Market. The discussion, titled “How to Adapt to a Changing Industry,” centered around the advances of technology in the furnishings market and how to adapt, change, and thrive in the market today. The conversation touched on a variety of important topics, including getting your furniture brand noticed, and how to diversify your brand from the pack. Naturally, there was never a dull moment during the 60-minute discussion. Panelists included House Tipster’s Creative Director, Thomas Wolosik, Zuo’s Decor Director, Andrea Guardiola, the Editor and Chief of Furniture, Lighting & Decor Magazine, Nicole Davis, Designer Barrie Livingstone, Global Trend Ambassador, Patti Carpenter, and Founder and Owner of Erdos + Ko, John Erdos. 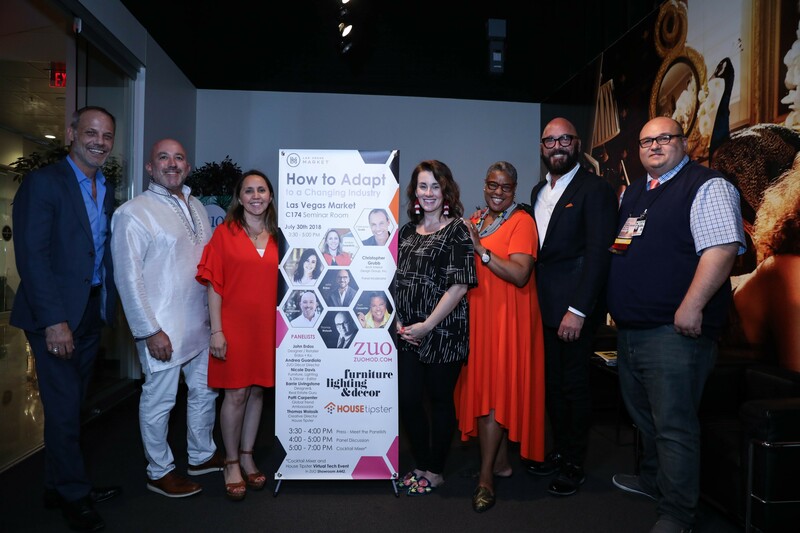 In true House Tipster fashion, the panel was moderated by none other than House Tipster host and President of Arch-Interiors Design Group, Christopher Grubb. After the panel discussion, attendees were invited to a post-panel cocktail reception at House Tipster Smart Tech event, which included a bar, desserts, and more discussion on infusing technology into design. 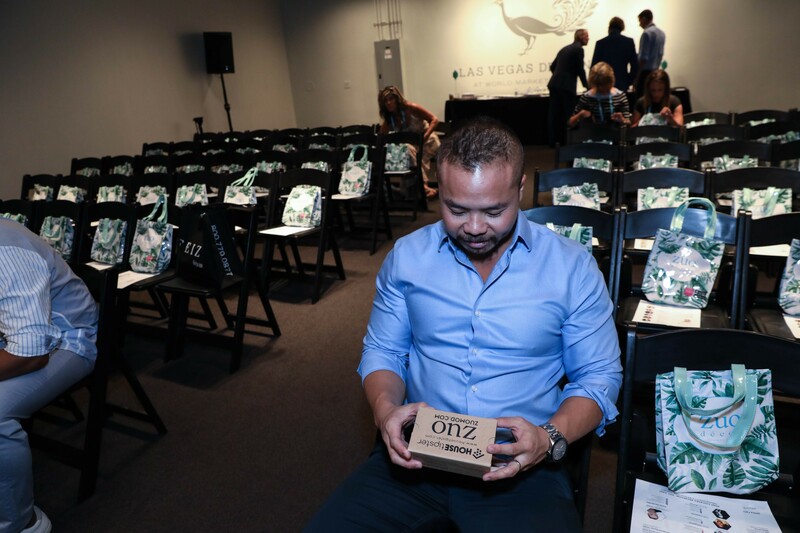 The event brought designers and other industry professionals together to experience how House Tipster’s virtual technologies and Zuo’s 3D Models work hand-in-hand to provide designers a realistic and elevated experience. As a bonus, the first 250 guests to the exclusive reception received a free pair of 3D Viewer Goggles, which help to make the virtual room experience more engaging and realistic. We believe that it’s just the beginning of the partnership between House Tipster and Zuo, we are looking forward to many collaborative efforts moving forward. If you love design and technology as much as we do, then you’ll love our media coverage of the Las Vegas Market. Be sure to connect with House Tipster through Tipster TV to catch our latest Market news. Watch below the full Industry Panel discussion during Las Vegas Market.